This year the Dodgeball World Championship was held in Melbourne, Australia in which one of our 3rd year students participated and won Silver after competing with countries affiliated with the WDBF (World Dodgeball Federation). Mr. Low Heng Wei who is studying a double degree with the School in the Bachelor of Science (Biotechnology) and Bachelor of Science (Medical Bioscience) said that he got into the sport during his foundation year (MUFY) in 2013 and was playing for fun with the Sunway Club called “Poseidon”. 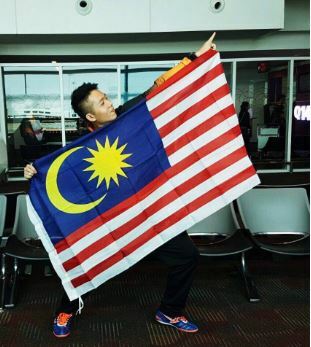 Slowly his interest in the game became serious and together with some friends he formed an open club to compete in the championships organised by MAD (Malaysian Association of Dodgeball). The World Dodgeball Federation (WDBF) was founded in 2011 comprising of seven countries including Malaysia. Malaysia hosted the first Dodgeball World Championship in 2012.